As a florist, I get the opportunity to meet so many brides and see such a wide range of taste and style preferences. 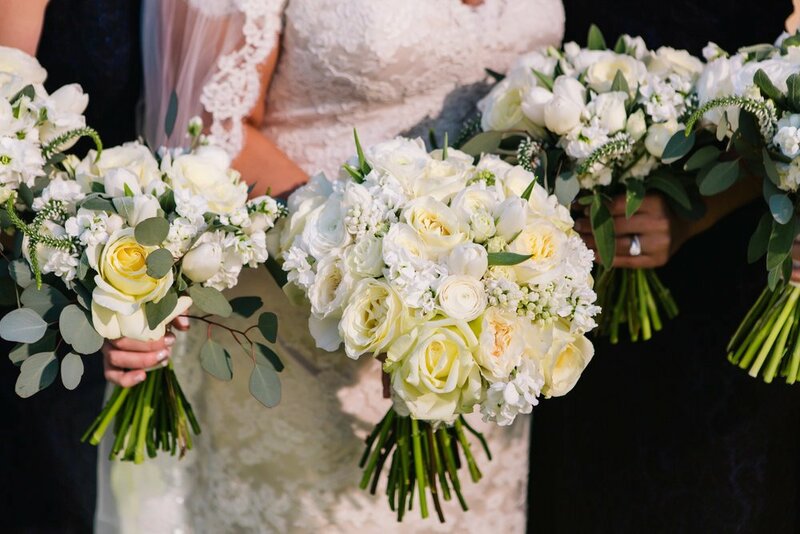 Our favorite part of a wedding is creating a bouquet that represents our bride and something she’ll cherish forever as she looks back on her special day. And even better, when we hand her that bouquet we love seeing her face light up (and sometimes even tear). 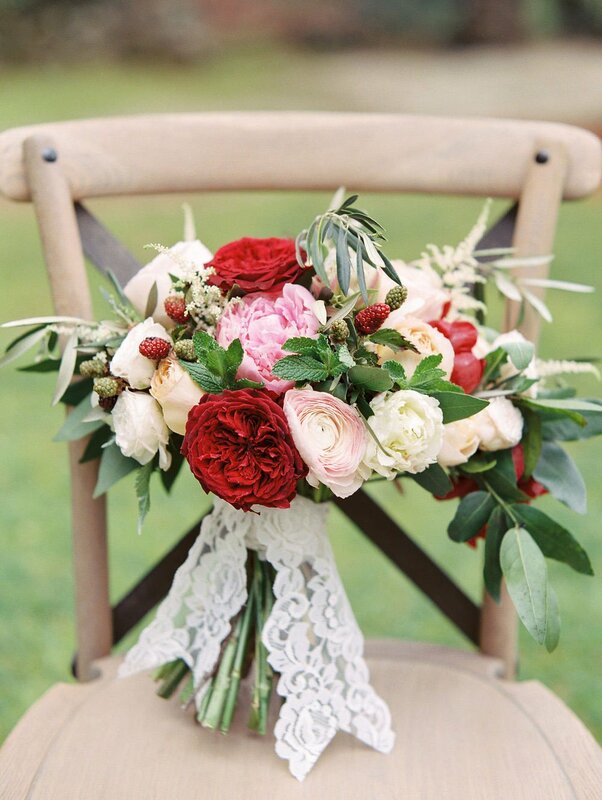 Every bouquet is custom designed and different from the last, but what ties them all together is that the all have a fresh look and natural components–no matter what the style. We get to play with so many styles, from whimsical and organic to a more manicured look. 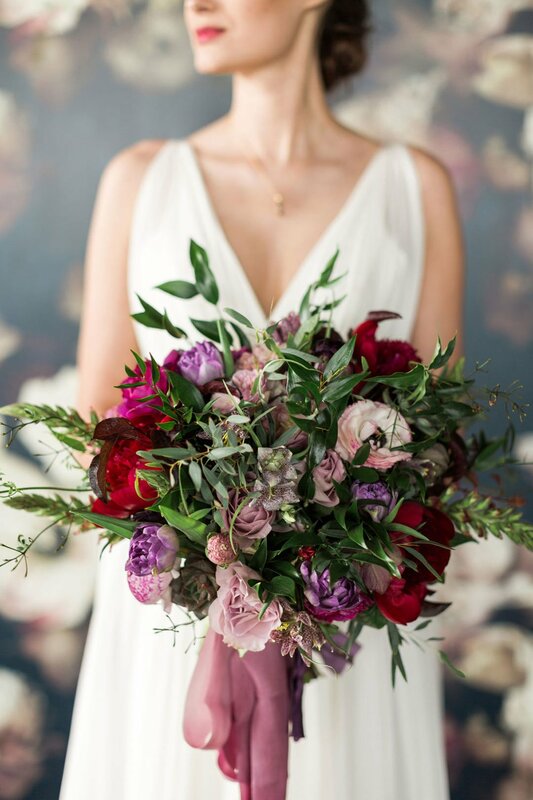 Our first bouquet is a lush and natural bouquet, that has some wild foliage, wild berries and some lush beautiful flowers such as garden roses, ranunculus and peonies. This bouquet was so fun to make because we got incorporate elements you don’t typically see in everyday arrangements, such as raspberries and mint. 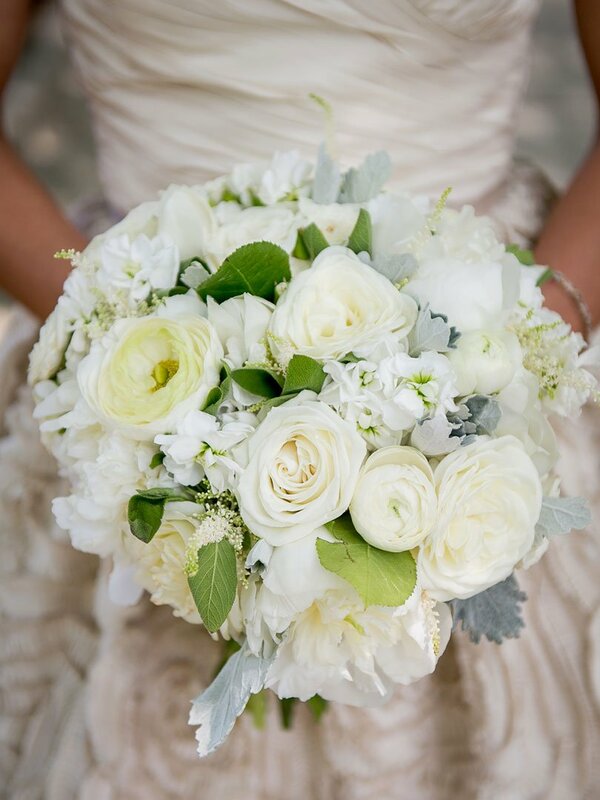 This last bouquet is for the truly organic bride…one who wants lots of greenery and texture. This bouquet can be any combination of colors. However, this bride opted for moody and romantic tones. From the deep colors to the jumping greens it’s everything one could want for their whimsical and natural look. Red charm peonies, double tulips, Japanese ranunculus, digiplexis, fritillaria, and so many more elements pulled together the style of this dreamy bouquet. Check out all the details of this event in our recent publication on Green Wedding Shoes.